Do you work for AdSense? Learning about AdSense? We can help. "Ads - Is it worth it?" Google does honestly show less annoying ads, and stops popups from happening that can lose vital visitors to your website. That's honestly a great feature. You can really customize things to maximize profit opportunities! Google Adsense is like the #1 leading Adsense service. It could be a number of things why our rate was so low, but we don't really know why. Use it if you need it. I think the best rates are mostly if your visitors are mainly from the US. It can really help you if your on that line, or just want extra profit. Profit margins. We are able to stay in business with Google Adsense. We benefited from almost going to shut down to being a strong company. "Google Adsense, allows you to make announcements. " The eligibility requirements are easy, which means you can monetize your website or blog even when it's new. There are a variety of advertising options and several that you can customize to fit the look of your site. Google pays monthly (if it meets the $ 100 limit) by direct deposit. You can serve ads on multiple websites from an AdSense account. Google can end your account in a flash, and it's not very forgiving if you break the rules. Like all forms of online income, you need specific traffic to earn money. When people click on an AdSense ad, you earn some money, but your visitor also leaves your site. It does not necessarily pay more than other similar programs. Excellent application when offering a product, because it helps us create excellent advertising. AdSense is a great monetization option, but it is not an option to get rich quickly or make money without doing anything. In addition, Google has many rules that are not always noticed in advance. This application is of great help for our clients since it allows us as a company to make a better presentation of our products, has an endless number of tools that help us to make better businessmen every day. "GOOGLE ADSENSE MONETIZES YOUR WEB PAGES EXCELLENTLY"
While it is true that ADSENSE provides website owners with a way to earn money through their online content, you must meet certain criteria to be able to monetize, after that it requires that your website has a good traffic of people. say a good number of daily visits, once all this is accomplished, the rest is quite simple, these ads are created and paid by advertisers who want to promote their products, which pay a different rate for each type of ad, the amount you earn will be variable, so the income you can generate using the Adsense platform are subject to a number of variables, such as the fact that you dedicate to your website to attract more visits, generating good traffic people, since Adsense establishes a correspondence between the text and the display ads of the site according to its content and visitors, in short, Adsense works very and well and allows you to have your website in automatic mode generating money for you, your job is to create content either in writing or in videos, while the more you make, appear more different ads and compete to appear on your website, and thus come out first those who pay better according to the theme and this, both for the impressions and for the clicks mentioned. If you want to have a source of passive income and make profitable what you do on your website, either through videos or in writing, Google Adsense is the number one option, you just have to create a website, get visits through the content , then register in Adsense, add the ads and go. "Monetize Website with Google Adsense"
Google adsense is best platform for monetize blogging , ecommerce and any type of website.so we can easily earn money with our website using google adsense.its very easy to use we don't need to create separate account for this we can sign in with Google account.We first need to verify website domain name with google adsense.Google adesense provide ad code we just need to embed ad code with our website for display google ads on our website.Google adsense very well track our earning.Google adsense provide daily report for track ad clicks and impression. Google adsense payment threshold is 100$.payment threshold value should be down.There is only single payment method.Google adsense take 10 to 15 days for send payment in bank. Google adsense help us for earn revenue from our ecommerce and blogging website.Google adsense ads attract our visitors for stay more time on website. "Generate profits easily on your website"
"Create the best online applications. " Google AdSense uses a number of technologies to display ads relevant to visitors, whether indexing the content of the websites, geographic location and other factors (including special promotions of major brands). This guarantees advertisers reach the audience they are looking for, while delivering useful ads to users. That you can disable the application just when you are going to receive the first payment of the publications. Excellent application to post comments, images, photos and videos, you can also give the best application by receiving a bonus for that. allows publishers to earn revenue by placing ads on their websites, whether text, graphics or advanced interactive advertising. These ads are managed and ordered by Google in association with AdWords advertisers through a complex instant auction system. "Great tool for creators and publishers to earn money from their creativity "
Adsense gives you great opportunity to convert your talent and abilities into money.Best side of it is you can set your own working hours and you don't have to leave your home.Whether you are blogger or video creator you can monetize your content very easily. Adsense pays you monthly and gives you most part of the advertising revenue.I mostly use mobile version of Adsense. I can reach all revenue statistics very easily from mobile too. Adsense application review takes a lot of time for video creators.And sometimes some videos are demonetized by mistake.Hope they will fix it soon. With Adsense I am monetizing my blog which is about science and technology. "AdSense is very easy and simple." I like AdSense for various reasons. I use it for my YouTube earnings. I like how it shows youtube analytics and earnings simply with no trouble finding it. I also love how the have "Auto Ads" now. Simplicity at its finest. I dislike the fact that the app is a little bit confusing for Youtube creators. It does not show much information and statistics. You pretty much can only see how much money you've made since your last paycheck. I say go for it! It is a great application and integrates well with other websites and tools. Super easy to use and very functional! I Solve the problem of having to manually check how my ads are doing. AdSense is a great app to use and you really cannot go wrong with it! "Best to earn with website traffic"
I have been using since a year and making a reasonable amount of money from it. Apart from earning Google adsense also give in depth detail of all click made by web users. After approval its very easy to use as you just need to paste a small piece of code in heading tag of website's home page. We can also block ads on some pages. Once $100 earned then you can easily transfer them to your bank account. People who have a rgood web traffic can use this to generate money by allowing Google to display ads on your website. CPC may vary according to time and location but best way to earn from blogging. Google Adsense really helped me in making money and monetizing my web traffic. Apart from money, Google Adsense also helped in analyzing web traffic to find opportunities to grow traffic. "getting the most out of your website"
with adsense you can obtain income from your web page, take advantage of it by obtaining income sharing good publicity, you only need to have a gmail account which is totally free, it is the best. It interferes a bit with the dimensions of the page and the design in terms of space, but in general it is an excellent tool for helping to generate income with them. "Amazing Platform to Recoup Starting Website costs"
Adsense has been an amazing platform to recoup website operating costs especially from website visitors that are looking to exit the website and the main sale is not performed. Given the additional revenue, adsense has allowed us to make further improvements to attracting the correct customer base. Google truly does allow for improved functionality through the use of it's Adsense and analytic platforms. The revenue allows to invest further in capturing leads details. Sometimes the interface can be a little clunky in terms of finding the correct advert coding when manually in putting ads through HTML. Further some improvements can be made to the payments where a lower threshold for new starters could be useful. I believe adsense is a great tool that allows for targeted consumers as well as allow to bring in analytical support from Google Analytics. This specifically allows you to continue with covering your costs and add a revenue stream through your website. This has allow us to incorporate further added functionality using the additional revenue to make solid improvements. Some cost recovery from users not looking to purchase from the site. It's a great way to assist in SEO rankings due to greater presence. Also being able to further analyze users visiting the site has been able to assisting in targeting our market and who are and who are not interactive. This has further increased our sales revenue from further targeting those users. "easy way to earn money through affiliate marketing"
Its the easy way to earn revenue through website.It has some requirements that the website should have a large traffic.Best platform to monetize blogging.Easy to use only requires a gmail account to sign in.Google adsense have the features to target specific visitors by gender,interests,specific location and other. There is a good experience with adsense.But the CPC rate sometime seems high.The review take a large time duration . Easy and simple way to increase traffic and clicks for a ecommerce websites and app .It helps for SEO ranking and also we can earn income.Just sign up with your google account and feel the advantage and benefits of Google adsense. It helps to increase the traffic and seo ranking of a website.Easy way to create the popularity.It attracts users to stay more time in our websites. "Google adsense is best for earn money from your website." I like all features of google adsense.google adsense realtime earning data analytics is very good.google adsense shows in which country how many ad clicks from there. this is very nice feature for track our website ad click from different countries.another cool feature is that even we can see on which platform user opened my website desktop or mobile. google adsense shows only country in which my website generate revenue but not shows in which location of country my website generate revenue.so this thing i dislike from adsense. Google Adsense is great for generate revenue with website and for good analytics for your website. Google adsense is best for generate revenue from my website blog content. "Great platform to support a great digital ads strategy"
Google Ads in general are a very smart and cost-effective way to market a business online. Google took care of a number of common issues advertisers and businesses have about advertising. You can measure your costs, you decide your budget, and you know exactly who you're reaching, at the time they are searching for exactly what your business might offer. I do wish it was a bit more customizable in terms of its different columns and metrics. Being able to track, measure, and respond based on the metrics in the program. That's huge for making sure client advertising budgets are being optimized. "Method for Bloggers , developers to advertise on their service/software and Earn"
Internet is an open platform for media , blogging and services . Google adSense allows us developers and bloggers to earn with small advertisements on our content while we keep our services free . It is easy to implement with iframe tag and other facilities for app developers . Earnings are ok , i guess but again for a student like me i loved adsense for the app we developed during university time. As i said , the payment are ok . not so great to expect profits soon . But it can help keep services running after your services become popular . Also , keep in mind that bloggers require certain number of visitors to use adsense . That is also a bummer , though app developers can use them when we submit our app on play store without any visitor limit . Secondly , since ads are based on searches made by people , they often complain about being tracked by the service provider which is actually not being done by the provider. Adsense is the premium advertisement service , provided by the king of internet , Google . So it has the support and quality for publishers and has great audience which can really increase the market for the product . For indie developers , you must consider it as a source of funding if you are not charging for software . As an indie developer , i find Adsense a great way of self funding for my projects . Any business can use it for youtube channels , blogs , websites , apps and what not . I don't really know how the big companies use Adsense but from what i can guess , most of them are definitely using them and earning profits from the large audience on internet that see those ads. "Great easy method to monetize your website"
I like the latest Adsense updates the most as they make things easier to integrate and Auto ads make it easy to show your ads in the best spots of your website. I can definitely recommend Google Adsense for all webmasters to monetize their content. I dislike the delay sometimes happens to see the stats. I wish they can optimize their servers soon for real time statistics. You can use it through the partnership networks so you can show even more ads Adsense allows on your page to maximize your revenue. I successfully monetize my content with Google Adsense. There's no need to find partners any more to run custom ads on your website. Despite being one of the most enduring online advertising networks in the world, Google Ad Sense continues to be one of the largest and most sophisticated out there. Its performance is unmatchable and initial set up is extremely simplistic. Another great perk is that there are few irritating conditions of use and there is no minimum traffic requirement. For amateur publishers, Google AdSense may pose a slight issue in that its customer service can at times be lax. Another recurring criticism is that when AdSense bans users, it is very difficult, if not impossible, to retrieve their account. Make sure to ask a lot of questions to existing users because there are a lot of hidden perks in the service that are not immediately obvious to the new user. "the best one to publish your ads"
It is the best platform I have seen to create advertisements that are worthwhile for my company, it is easy to use, I can get ad revenue, I am convinced that if an ad displeases me easily I can block it with just one click. Adsense is very easy to use, everything is pretty straight forward which is something I look for when spending client money is involved. I disliked how vague some of the data you get is. When searching for keywords to use in campaigns, some of the data results you are given are pretty vague and that may make it hard for some to pin point the most effective strategy to use. I highly recommend using adsense, as Google loves to feature its own products. Competition may be fierce for your search terms, but using the tools within adsense can help you narrow down terms to remain competitive. I use adsense to give clients an online advertising presence in a cost effective way. Being at the top of google results and immediately in the eyes of potential customers is a huge benefit. "It is an excellent tool to obtain income with what we write"
"Receive income by sharing good adsense with adsense"
Sharing advertising on my website i have obtained good income which i can invest improving it, it is very simple to use and also very practical because it has different payment methods. "Difficult to understand how it works "
"get the benefit by getting income from your website with adsense showing good publicity"
"A Way for Bloggers to Make Money!" "Absolute scam! Worst software ive ever dealt with." Their ease of use is about the only thing they have going for them. I'd rate them as a half star software. Google's Adsense in my opinion is largely a scam and I will explain why. People often double click a Google paid ad when their cell phone or computer is moving slowly. The Google advertiser gets charged twice. Also, if a device is moving slowly after tapping or clicking, the person will abandon the wait to move on to another ad or website. The Google advertiser still gets charged. Also, competitors will frequently tap on their competitions ad to spitefully run up their bill. I stopped using Google adsense to advertise my business because of the aforementioned reasons and because I flat out dont trust Google which is the ultimate filthy rich greedy corporation. My small struggling business lost money to Google Adsense. I WAS using AdSense to promote my small business. I currently dont use it and NEVER would again. I like that it is so easy to use and that we do not have to deal with the money aspect of it. Plus that you can chose what ads or ad types to block. Nothing really, it is easy to use and we can target it how we want. Do your research and make sure you really look into everything. Not every program will be for you or your page. We are filling space and making money this way. It helps us to do what we want. Easy to use interface even for beginners. The strategy behind ads takes experience, but getting set up is intuitive and easy to do. Google provides tons of resources and training to get you up to speed quickly. Lacks some insights I would like to see. Some days the information "cards" on your dashboard are there, the next day you see different cards and there doesn't seem to be any control of which ones continue to show up. Easily managing paid media initiatives.
" Adsense's ability to advertise is an immense business opportunity." Your Solid Management and Being able to acquire new experiences since I am more focused on your advertising. There are characteristics that make things difficult for me, for example: The "script" confuses me some things but it is minimal. For those who want financial freedom, I recommend them because it has many functions to earn money. It has taken me to a very fluid financial level, I am convinced that adsense is a very good trading platform. He has not given me any kind of problems. "A little tricky to get the hang of - but worth it." I like how it allows me to choose high quality content for specific audiences, letting me be in control of blocking ads I don't like, customizing where I want them to appear, and choosing which type fits the website I'm working on the best. I dislike the technicalities of it - can be a bit tough to get the hang of. But, once you do get the hang out if, it comes naturally! I feel that it is a bit pricey too. If it was a slightly bit cheaper, I feel like more small businesses would use it. Also, the visibility of this as well should be expanded. More need to know about it! Definitely use it! It's so worth it. You make money and give others exposure. What more could you want? I would make sure you have a plan for who you want to market to, who your audience is for each page, why you're placing the ad, etc. As long as you are goal oriented and understand why you're using the site, you'll get your absolute best content out of it! Monetize and give advertisers a place to market to your audience! As far as business problems go, I have no had any that are crucial to discuss. I've realized the benefit of monetizing a site through ads. The fact that advertisers constantly bid for ad space shows that it's working. Making things mobile friendly is a huge plus. "A great way to promote yourself or your business!" I really like the simplicity of AdSense, and the versatility that Google offers. You can have ads on websites, your YouTube videos, and pretty much any form of digital media. I've seen first hand the positive effects that Google AdSense offers. I don't see AdSense being beneficial for very small, local business' I would say the benefit really comes when a business is medium to large, because the return on investment will be that much greater. If you are a medium to large size business, I would highly recommend you use AdSense to see how beneficial it can be for the relatively low cost in comparison to other methods of marketing. Attracting new viewers and customers, especially in regards to video marketing. "Best advertising and earning tool for bloggers"
This tool provides full analytics of website traffic and earnings. This is the highest earning tool through advertisements. Also, it is from Google. So, it provides relevant and convenient adds to the users. Implementation in website is difficult. Other then that there is no disadvantage of this tool. You can checkout this software to earn money through websites. I am using this tool in my website to earn through advertisnments. Also, it is the best tool to earn money from websites.
" Earn revenue through publication"
I like that I can take advantage of my channel on YouTube or blog to add advertising ads and earn money quickly and without investment. Add advertising on the blog and page, plus youtube channel, where they meet the necessary conditions and only with a visitor click on the advertising gender extra income. If you already use G Suite, or some other aspect of the Google platform, you can get started with this service in just a few minutes. Everything is interconnected so there is minimal data entry required. For a Google product, this is relatively counterintuitive. For example, it is difficult to get a clear sense of which terms to use, or how total pricing will work out after a month of use. Although this is likely all learnable, my recommendation is to either dedicate some serious time to the learning curve or hire an outside vendor fluent with this platform. While Google is the big dog, recognize that this isn't a solution you simply setup in a day. Working through the options and understanding the requirements takes a fair amount of time and effort. The typical problem is trying to net some click traffic from common searches, but the paid clicks didn't seem to materialize in a way which made the whole venture profitable. "Easily earn money and cash out!" I like the fact that there's such a simple way to earning money by simply advertising ads from AdSense weather it be on YouTube videos or your own website. The only thing I dislike about AdSense would have to be the minimum u require to withdraw which is £60 so you have to earn £60 before you can cash out. Definitely worth the little effort get started up as it can benefit you for a lifetime. AdSense allows for me to make money from posting videos on YouTube which would otherwise not be making me any money. This also quite simple and can allow for making money with ease. 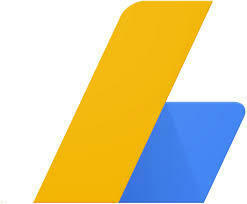 I like Google Adsense because it was one of the first and easy to use Ad platforms. Everything you need is a click away and you can see the analytics and pay-per-clicks right away. You can also see the ads and how they are going to look on your website right away. I dislike that you cannot customize the ads more, I wish there was a way to customize them more, however I understand you may not want to customize it 100% as you would get false clicks. You would not want to trick consumers into clicking ads. I think if people are using Adsense they should consider the content of their video and how many views it will receive as Adsense is only available to those who have a certain amount of views etc. The business problem I am solving with adsense, is occasionally creating videos for my company which I can generate revenue with using adsense. "Best tool to make money from website"
I like the most is real-time analytics of website traffic and how much earnings per day. We can estimate accurate earnings from this tool. Implementation of this tool to the website is not easy. We can't withdraw money if it's not reached to 100$. Use this software to generate advertisements and earning through the website. I am using this tool to generate advertisements through my website and generate parttime earnings from it. I like it because it is easy to access, anyone can have the opportunity to interact with this program as long as it adapts to the terms and conditions of it. It is a very attractive tool for those people who want to earn money with their ads. I dislike that it is somewhat complicated to register as there are many steps for registration, I also dislike that only three ads can be published, I dislike how difficult it is to generate the javascrip code and the tutorial to do it. It seems a good option to promote ads on the web and generate profits. The business problems that it solves, according to my perspective, is that it offers people a new way of promoting, through advertisements, anything they want on a web page, thus generating not only cheaper printing costs and publications. "Adsense - Best way to monetize your content online"
Ease of use and the best CPC for almost all countries.Hassle free payments. Just set up your account once and payments flow into your account when you reach the minimum payout. Nothing in particular. They are the best in the market. It meets most of your requirements. I tried a number of other companies. Always end up with Adsense as it provides the best CPC and hassle free payments. Payment come in my account without any action at my end. I am using Adsense to monetize my online content. You can maximize your revenue when using Google Analytics along with Adsense. AdSense allows us to automate most of the reporting processes for our ppc strategy. Although great for google ads. It is limited with other ppc platform. AdSense is constantly being updated and is heading in the right direction with continued support. The google team is fantastic with assistance. AdSense helps our ppc analyst such as myself with our PPC strategy and reporting. "always knows what I want"
Make sure this is exactly what you need. You cannot always control every aspect of the program and can be difficult to navigate through things> If you think you would do well with targeted ads, go for this one.